From the first lines I felt like entering somebody’s intimacy, somebody’s thoughts. I was reading some words that nobody should be reading, nor comment on them. How can you comment on somebody’s life? How can you, some stranger, start writing about somebody else’s inner world – their soul? There are paragraphs in Anne’s diary that should have been hers and hers only. But, does even matter with all the people she loved dying at the end? One thing is certain: Anne would have been happy to know that her dream to be a writer had come true. ‘The Diary of a Young Girl’ is a brilliant piece of writing because it’s actually a diary. The deepest thoughts, the greatest desires, and the spiritual torment are described in such simple words. 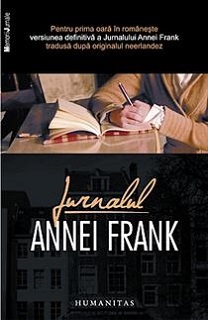 Anne Frank, at the age of twelve, begins the journey of her life. She becomes the mirror of the times she lives. Yet, this book is far of being a black book of war or atrocities endured by the Jews, but an invitation to a troubled family. We enter in that micro-world, the family, where the individual is the main character and not the people in general. We are witnessing their despair, fear, delusions, and also hope. After two years of captivity, the family members still find their strength to hope that all evil will pass, that they’ll be free again, able to see the sky. Anne’s story might be a message for us, the ones overwhelmed with problems, we who think that our life is full of difficulties. 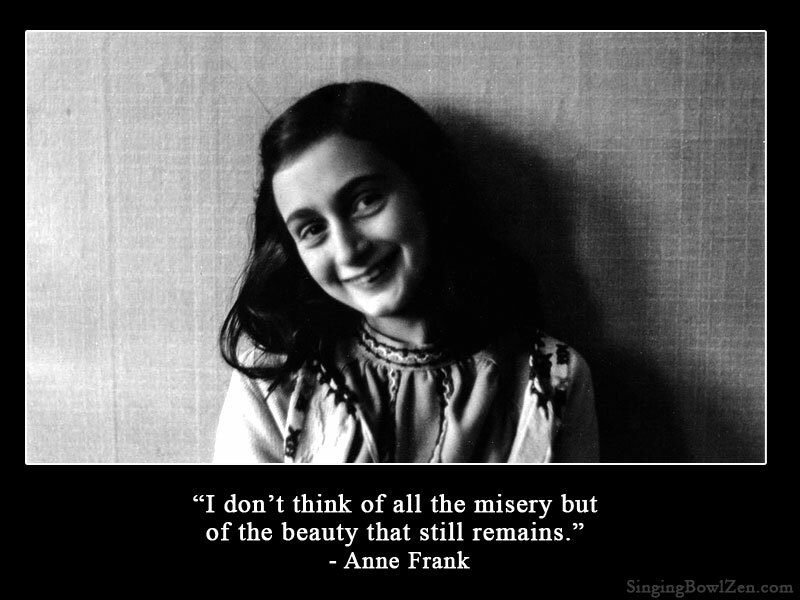 If Anne, at her young age, managed to bring herself to light to in spite of all the sufferings, why can’t we do the same? As long as we can still see the sun and greenery, we can still love and be loved. We should not let ourselves fall. 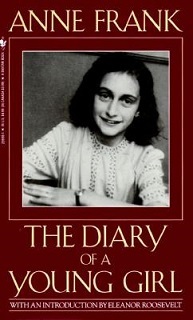 I recommend you read ‘The Diary of a Young Girl’ not only because Anne is a symbol of her times, but also for the simple and beautiful style in which she wrote the book. However, this is not only a book, but a story about love and hope. And, please, do not forget that nothing matters ‘as long as you know that for as long as you live you’ll have someone at your side who understands you, and who doesn’t have to be shared with anyone else’.